Get yourself a luxury vacation for the winter months and surprise your loved ones or significant other with some fun days on the beaches of Riviera Maya. You can get a room at Sandos Cozumel Luxury Resort starting from just $109 per night and save as much as $80 on each night. Located on the narrow bay bar that separates the Nichupte Lagoon from the Caribbean Sea. 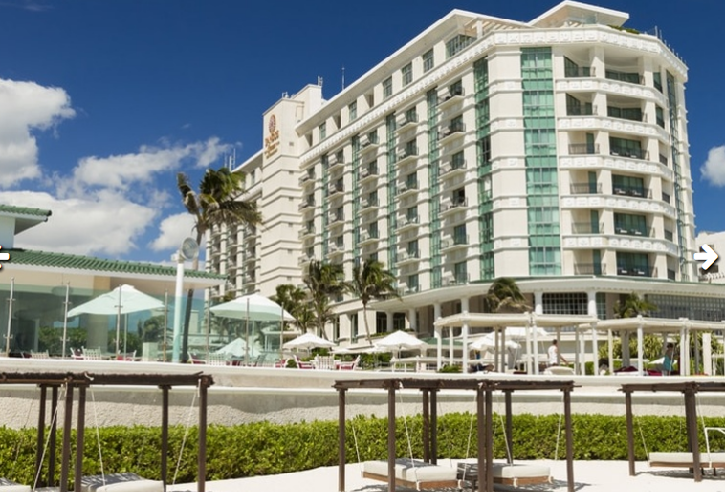 Sandos Cancun Luxury Resort is close to Interactive Aquarium Cancun, La Isla and Iberostar Golf Club. 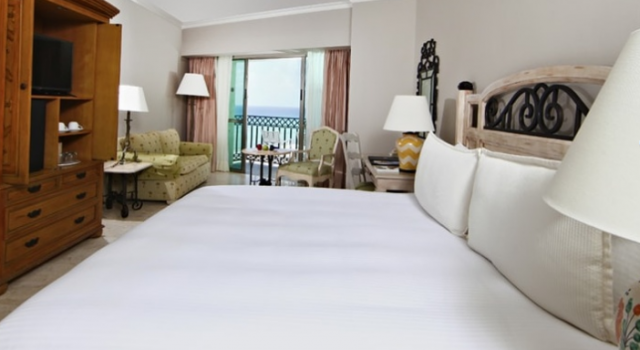 You can stay in beautiful rooms and one or two bedroom suites at Sandos Cancun Luxury Resort. Suites have one king bed and least while rooms come with a king or two double beds as well as robes and slippers in the marble bathroom, hair dryer, alarm clock, quality linens, Wi-fi connection, 32 inch flat panel TV, laptop size safe, coffee maker, air conditioning and so on. 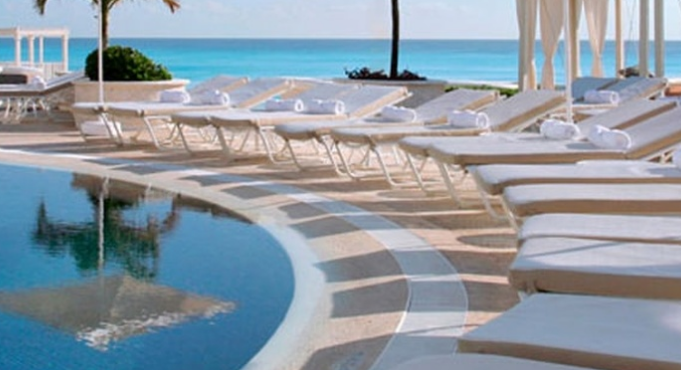 One of the great things about this Cancun luxury hotel is that all of its accommodations look over the ocean or the lagoon. Sandos Cancun Luxury Resort is all inclusive, so your booking will include full access to buffet and a la carte restaurants as well as bars, the beach and pools, water sports, the fitness center and tennis courts, the outdoor jacuzzis and even the hotel’s premium club. 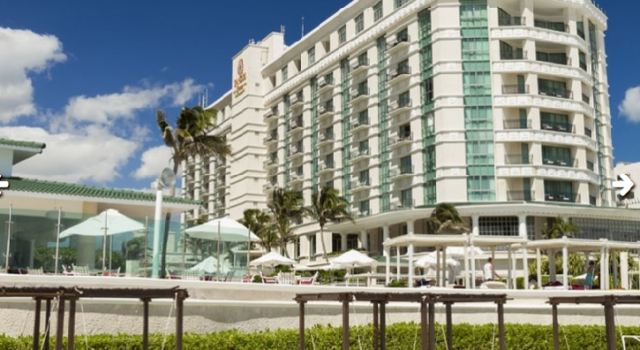 Apart from the above, included, services, Sandos Cancun Luxury Resort also has a beauty salon and conference rooms where you can have conferences, business events and even weddings. Furthermore you will find here a shopping area, but you can even play golf, have nice treatments at the spa or taste specialty wines. You might want to see some other offers on the sites of other merchants, just to be sure that you are booking the perfect resort. It takes a few moments to do a research, add the travel dates you want, pick the merchants that you trust and with one click you can see a lot of other Cancun beach resorts on sale, all waiting for you.